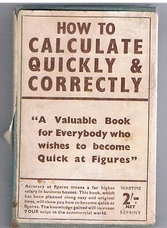 How to Calculate Quickly & Correctly. 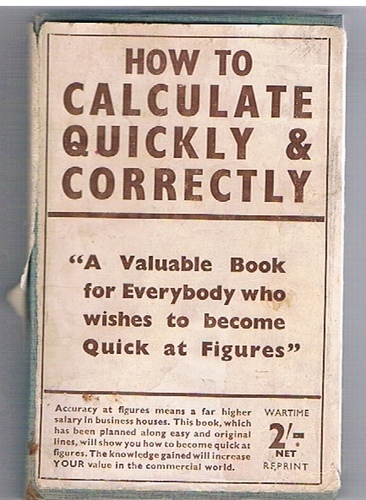 A Book for All Who Wish to Become Quick at Figures. A fair copy but complete. Undated, Wartime Reprint c. 1942, economy paper and binding, 9.5x14.5cm. 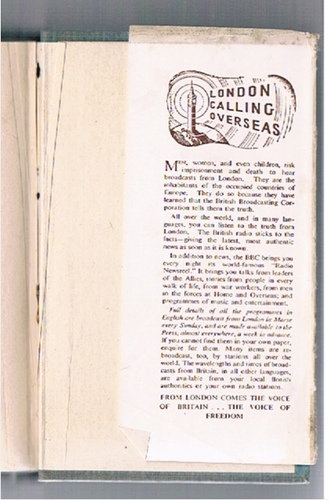 London Calling advertisment to rear flap. ; Foulsham's Cloth-Bound Pocket Library. Willows of the British Isles.